There are different levels of barbeque lovers. Some enjoy meat at a fundamental level, so they order burgers and steaks at restaurants. Some go a step further and can tell the difference between medium rare and barely cooked. Then there’s the grilling expert who can tell the difference between a charcoal grill and gas grill based on the taste of the meat. Many barbeque lovers agree that charcoal grilling is the premium level of barbeque. It gives the meat a rich colour and smoky flavour. However, charcoal grills are more cumbersome than gas grills or electric grills. They take longer to light, require more clean-up, their fuel is bulkier, and they need a well-ventilated outdoor space. Some owners prefer to have two grills – a convenient gas unit for weekday use and a charcoal grill for lazy afternoons and leisurely weekends. 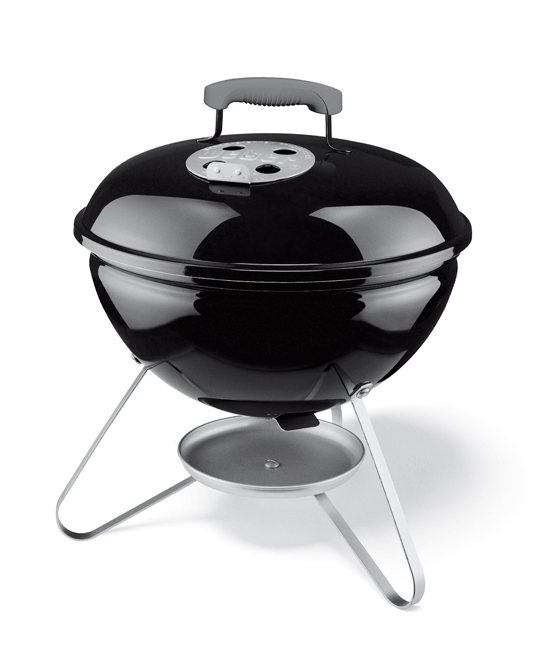 Here at Home Heating & BBQ, we have top range Weber charcoal grills. Our charcoal units are all Webers, and they come with a 10-year warranty. They are divided into three series: kettle, portable, and smokey. Kettle grills are the first model ever created by Weber. They have dome-shaped cooktops with a bowl-shaped lid. Grilling with the lid open gives a more crisp finish, while lid-down grilling offers a moister cut. Weber kettle grills have an inbuilt thermometer beneath the lid that allows you to control cooking temperatures. To ease your outdoor cooking, each Weber Kettle grill has wheels so you can move it around. They are fuelled by hardwood charcoal briquettes and range in price from $200 to $2,000. Each unit comes with a Weber Cookbook to give you ideas on how to best grill your food. Kettle grills are easy to maintain thanks to their ash catchers, drip trays, and one-touch cleaning system. They are constructed using enamel, aluminium, and chrome plated steel. All these metals are rust proof and heat resistant. 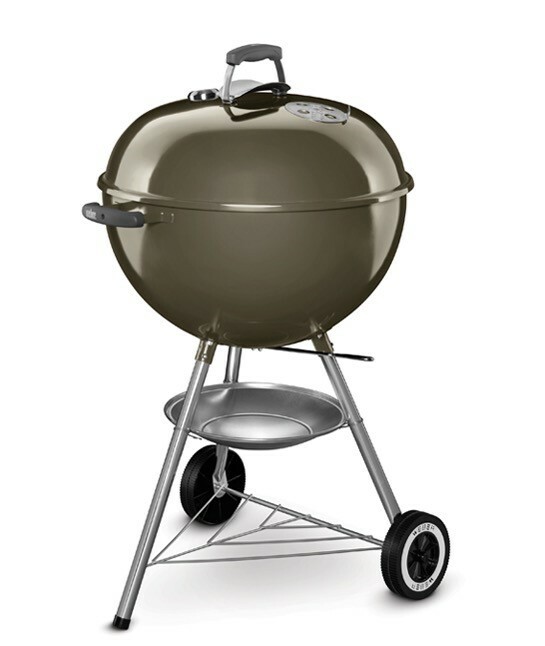 Our Weber Portable Charcoal BBQs are counter top units that can either be kettle shaped or rectangular. They are perfect for picnics or campouts and have solid handles to carry them around. They have vents for free air movement and foldable legs with a double function. The legs support the grill while it’s in use, and they hold the lid in place as you move around. Finally, we have the Smokey Mountain Series, which is specially designed for slow-cooking meat in a smoke chamber. The units have a cylindrical shape to allow full saturation by the smoke, and the tray is situated towards the top of the grill, allowing the smoke to swirl. Smokeys come in 37cm, 47cm, 57cm sizes, with a price range of $399 to $999. Smokeys have a hinged, front loading door, double grills, and a vinyl cover. The cooking surface is made from enamel, and like other Weber BBQ’s, each unit has a thermometer inside its lid. The Smokey also has a water pan to ensure your meat remains tender and moist while it cooks. Depending on your charcoal grilling needs, we are sure to have the right Weber for you, so get in touch with us or visit our showroom to see what we have in stock. With 15 charcoal grills on offer, we are sure you’ll be satisfied. To explore our collection of charcoal barbeque grills, call Home Heating & BBQ on 02 9838 1300 today.